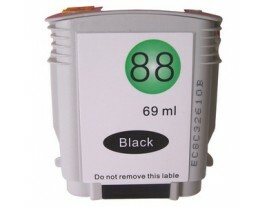 You won’t find a better deal on replacement HP 88XL black Ink Cartridge anywhere else on the web. We guarantee that all our HP cartridges and inks are either totally genuine or 100% compatible HP goods, ensuring that you get the very best quality at affordable prices. In addition, we also offer free delivery on all your purchases, so whether you are after HP specific cartridges or other brands, you’ll always get great value for money right here with us. Find out what savings you can make on HP 88 Black Ink today, and take advantage of our unbeatable offers.